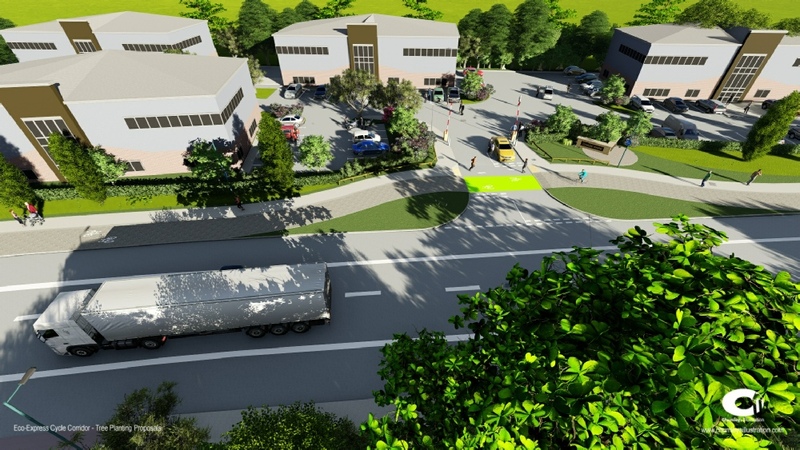 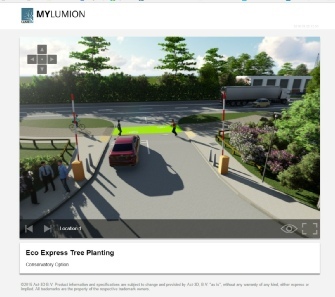 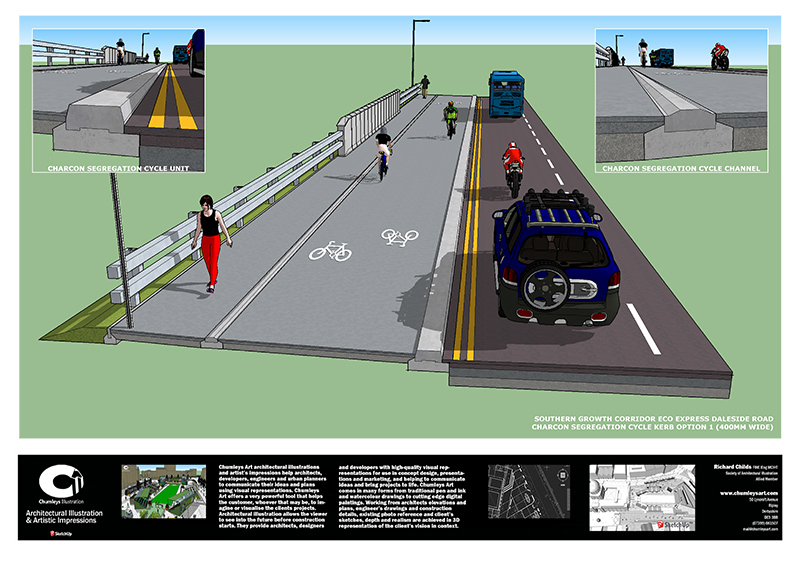 Richard was commissioned to complete the architectural illustrations and animated video for publicity, consultation and web site purposes for the eastern corridor phase called the Eco Express route. 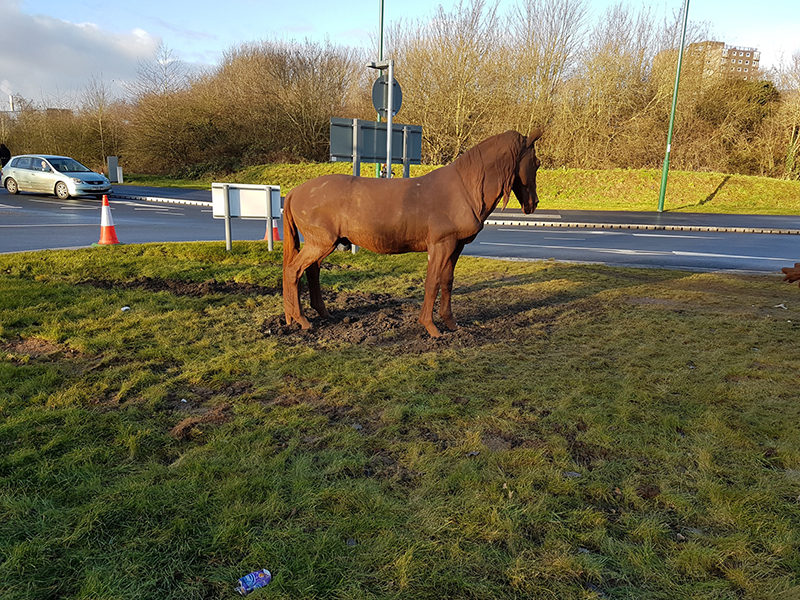 This ran from Manvers Street Bridge along Daleside Road to join with the wider county network at Vale Road. 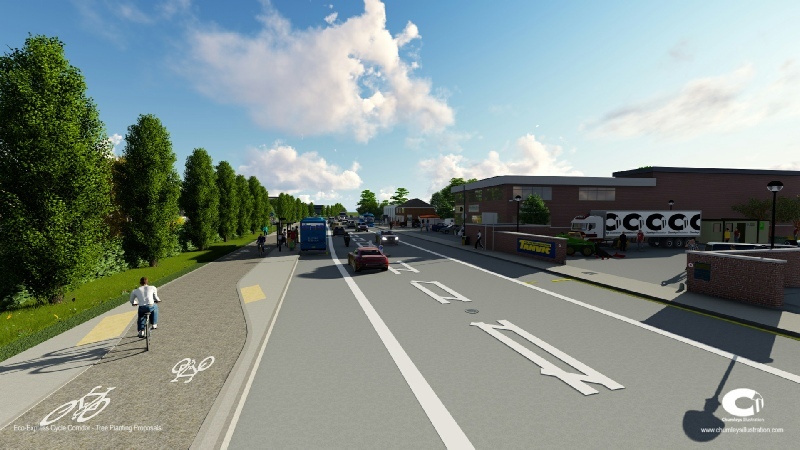 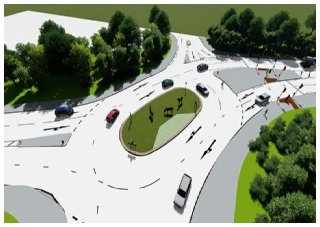 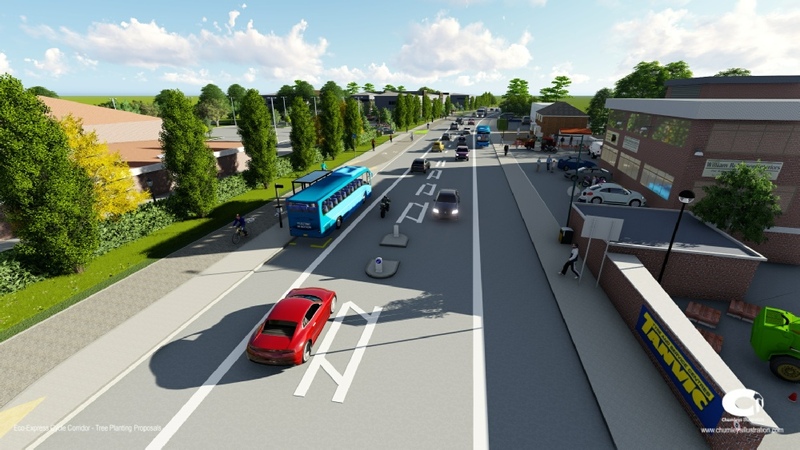 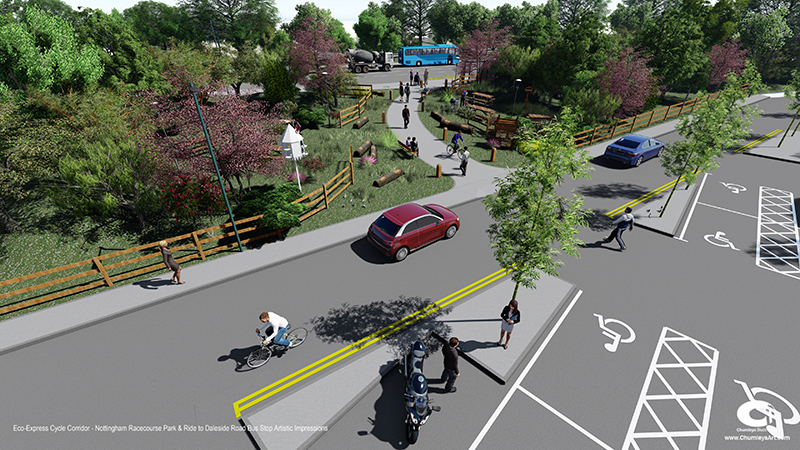 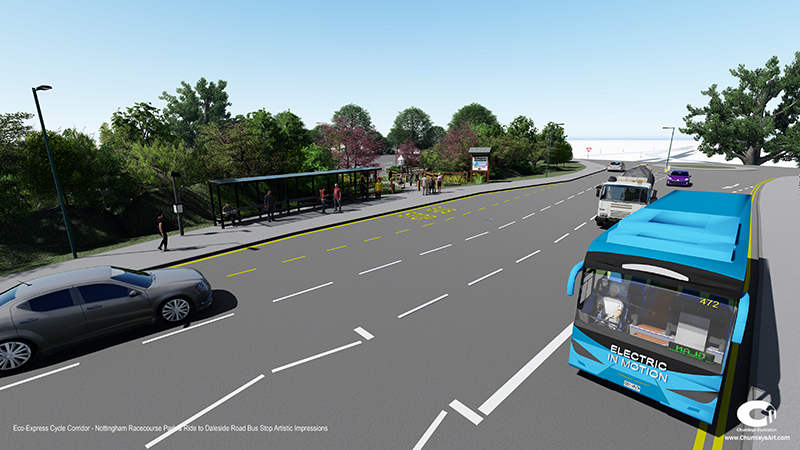 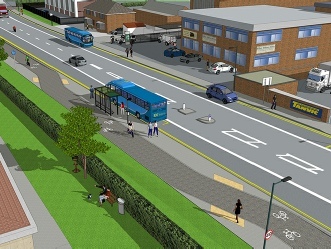 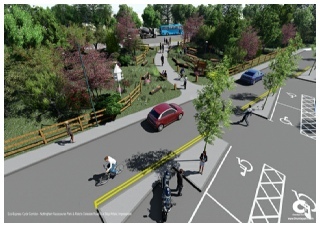 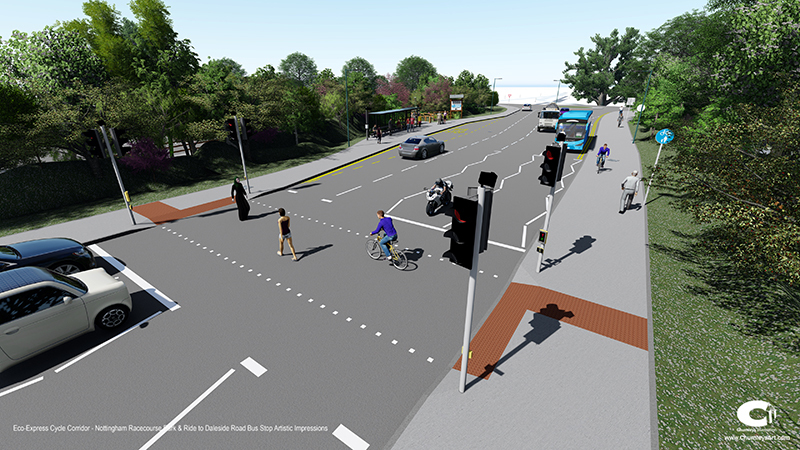 Particular emphasis was on: the floating bus stop concept; tree planting along the route; a new footway link from Daleside Road to the Nottingham Racecourse Park & Ride site incorporating bus stops and new traffic signalised pedestrian crossings along the route. 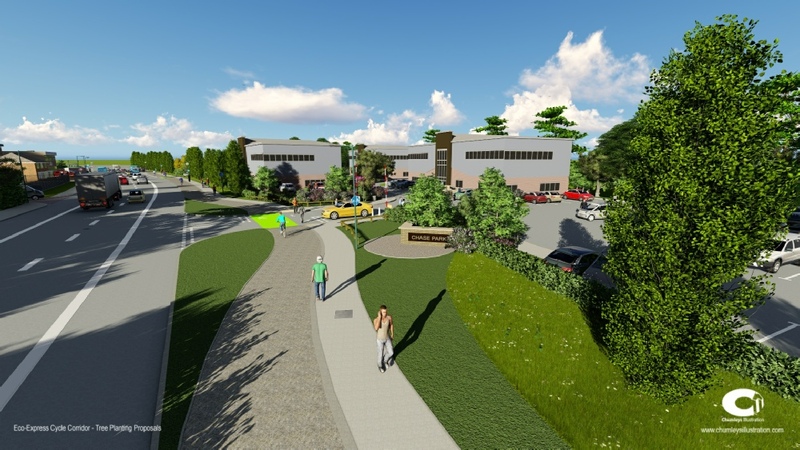 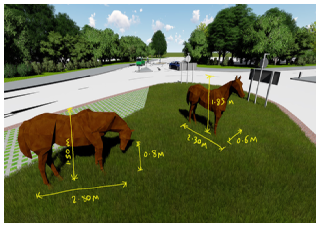 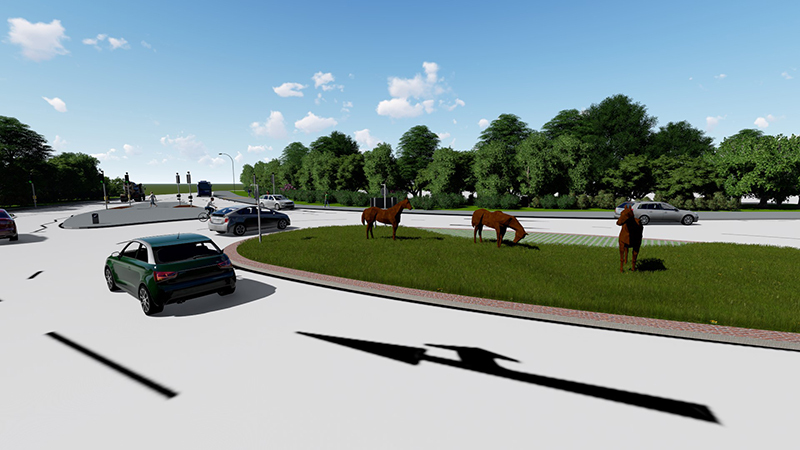 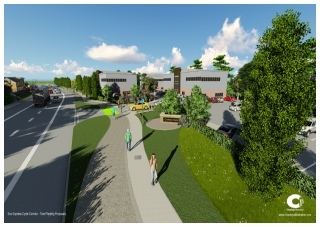 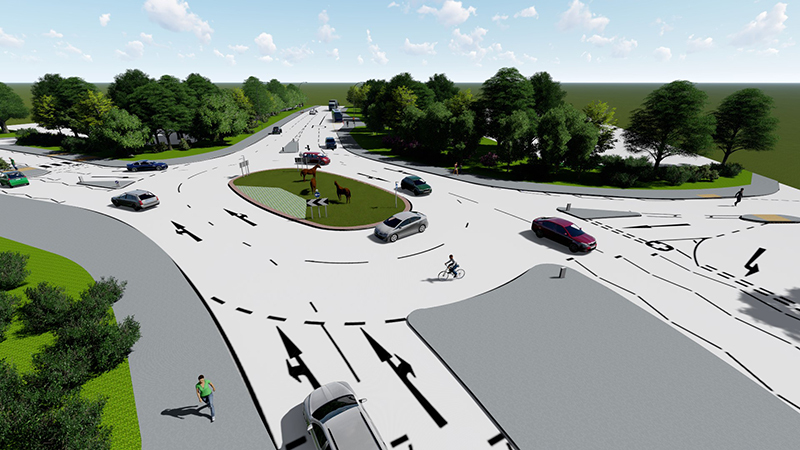 Following discussions with the client and the Nottingham Racecourse managers, it was agreed that finance would be made available for a sculptural feature in the Racecourse Road island of Daleside Road. 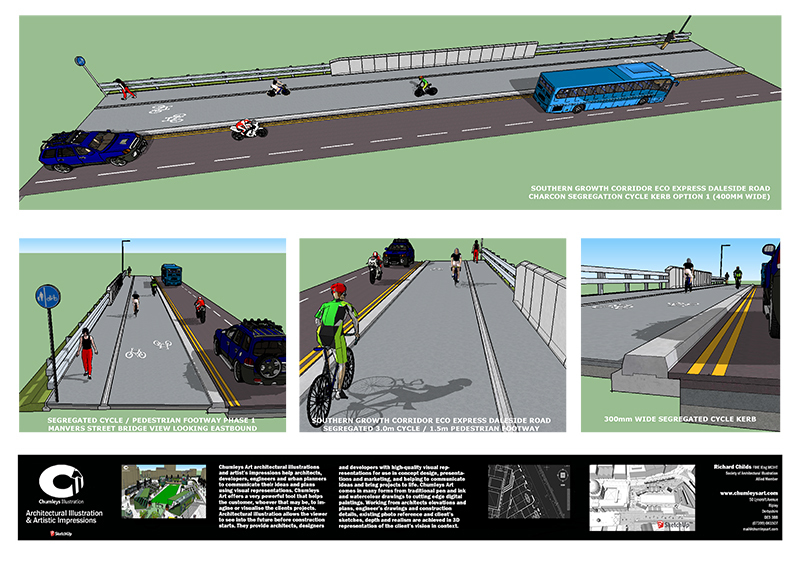 A befitting mark of the final phase of this great electric bus lane project. 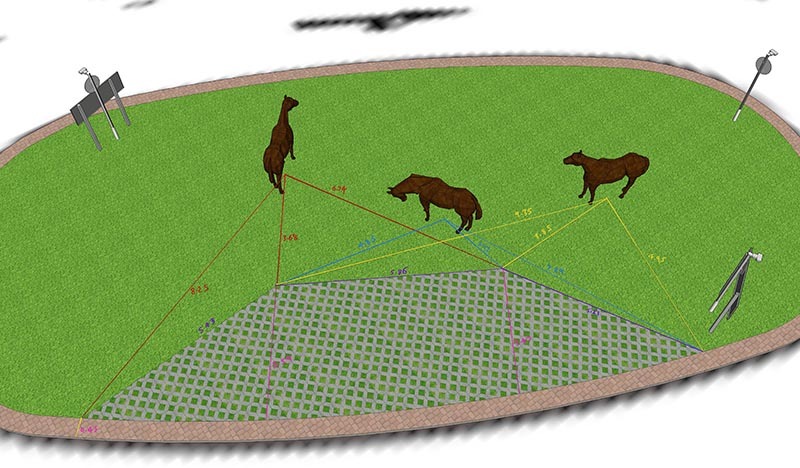 It was obvious that the design should feature the race horses and mark the location of the island feeding into the Nottingham Racecourse. 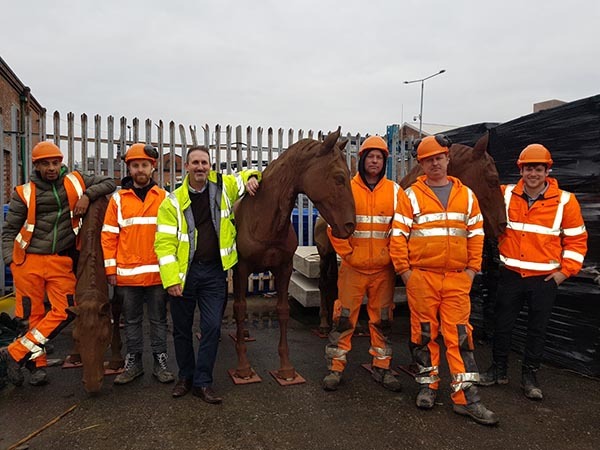 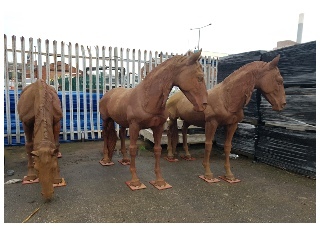 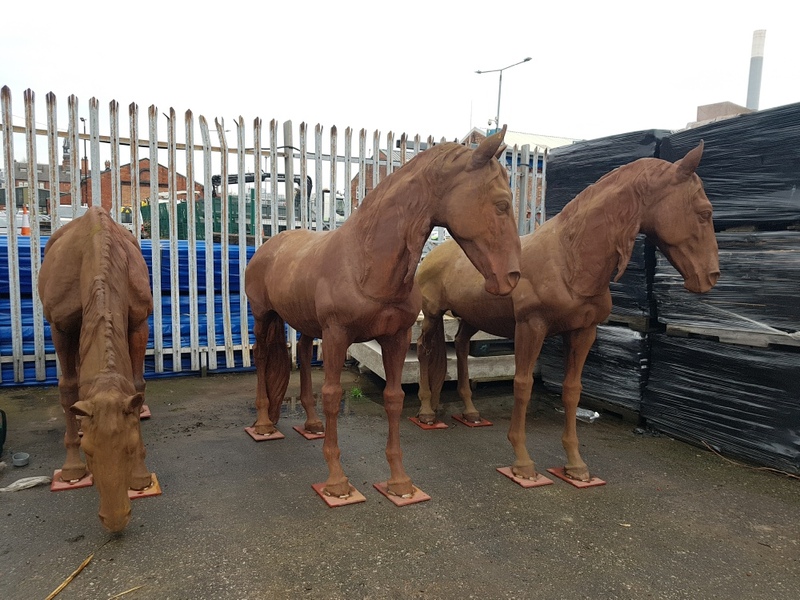 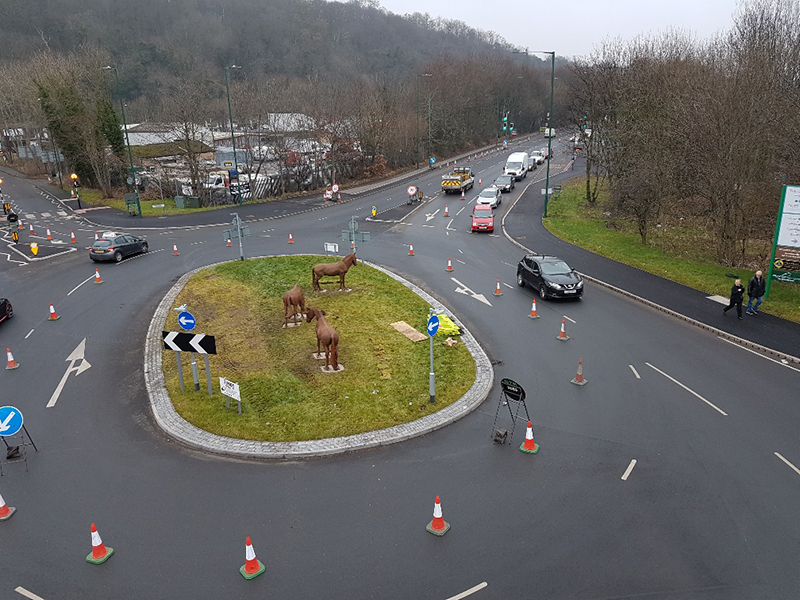 The cast iron horses were chosen and finally installed after much discussion with councillors, road safety officers and project team members. 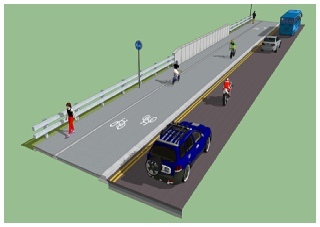 A great job all round and very courageous of the council to install art installations back into the street scene! 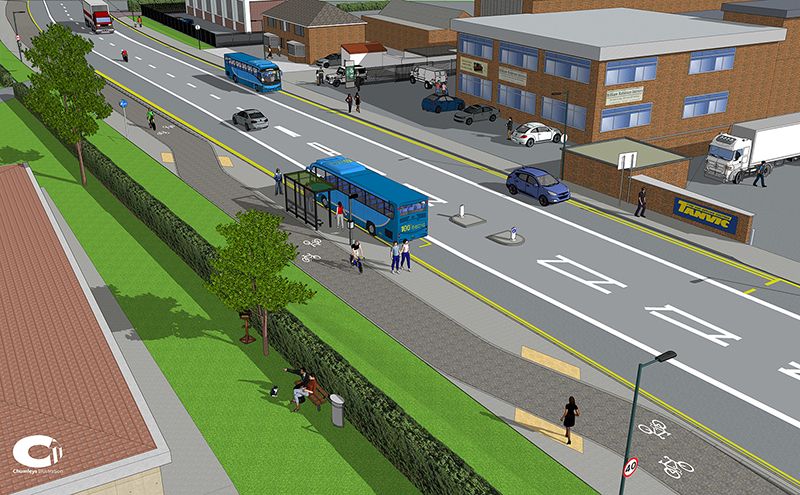 Very well received by the general public, daily commuters and visitors to the Nottingham Racecourse.